The Masai Mara National Reserve in the south western part of Kenya forms part of the greater eco-system that encompasses the Serengeti National Park in Tanzania. The Masai Mara is named for the Maasai people and the Mara River, which divides it. The wildlife is not confined within the reserve's boundaries. There are many conservancies to the north and east of the Masai Mara where, over centuries, an almost symbiotic relationship has developed between the Maasai people and the wildlife. The reserve is famous for its exceptional population of game and the migration of the wildebeest, which occurs here every year in July and August. The entire area of the park is nestled within the enormous Great Rift Valley. 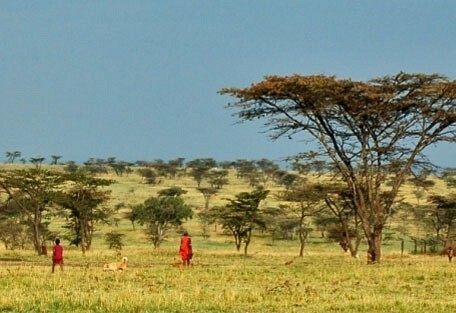 The Masai Mara consists of open savannah, rolling grasslands and undulating hills. The western border is the Esoit Olooloo Escarpment of the Rift Valley, and wildlife tends to be most concentrated here as the swampy ground means that access to water is always good and tourist disruption is minimal. The easternmost border is 224km from Nairobi and hence it is the eastern regions which are most visited. 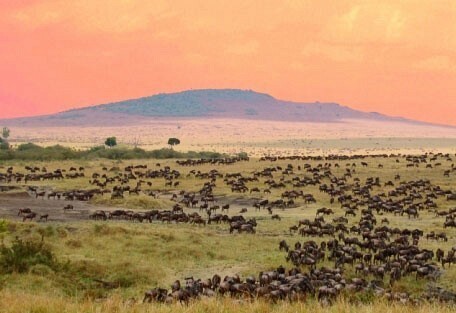 The Masai Mara is always an amazing safari destination, but at its best during the wildebeest migration, which occurs here between July and October each year. 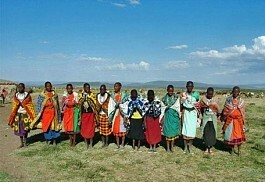 The park is surrounded by concession areas and tribal lands of the Maasai tribespeople. These are unfenced from the Mara and there can be as much wildlife roaming outside the park as inside so staying in these private concessions can often be just as rewarding. 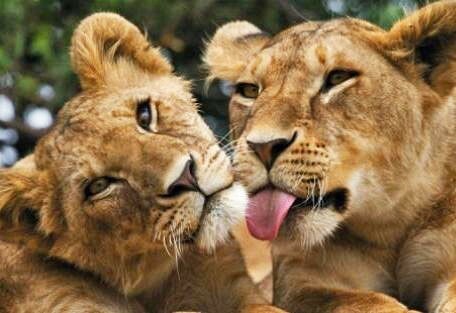 This area is known for its predator population, particularly lions, hyenas and cheetahs. 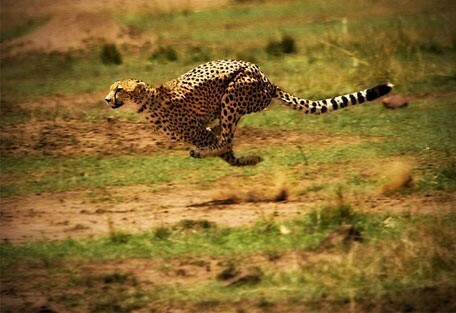 Cheetahs are severly endangered, and it is quite magnificent to see them take down kills at 110km/h on the Masai plains. The Mara is probably the best serviced of all Kenyan national parks and reserves with a wide range of accommodation for any budget. 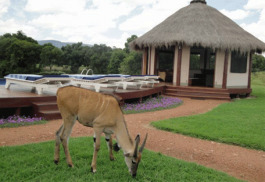 The reserve is ideal for game drives, and some lodges and camps offer walking and balloon safaris. 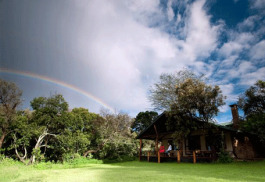 Little Governors' Camp was built in 1976 around a small waterhole that teems with wildlife and birds. 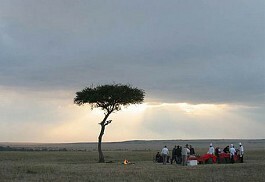 It has a prime location in the Masai Mara, originally being the favourite safari location of Kenya's governors. 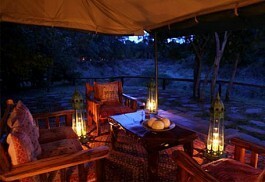 Cottars 1920's Camp is an exclusive and private concession between the Masai Mara and Serengeti National Park. 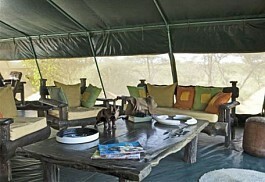 It is a good camp to see the migration as it enters and exits the Masai Mara - between July and October. Olonana Tented Camp is a luxurious camp situated in a private area of the Mara River at the foot of the Siria Escarpment. 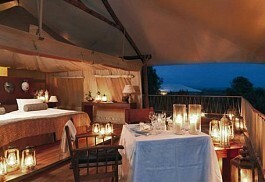 The tents offer beautiful views overlooking the Mara River playing host to an abundance of wildlife. 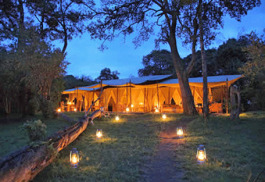 Speke’s Camp is a traditional tented camp located in prime Kenyan wilderness, wedged between Mara North Conservancy and Olare Orok Conservancy on the border of the Masai Mara Reserve, where some of Africa’s greatest wildlife action plays out. 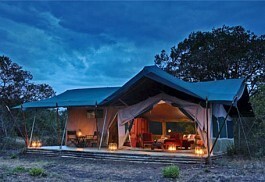 Mara Bushtops is located in a private conservancy, bordering the Masai Mara. 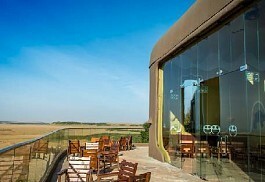 It has spectacular views overlooking a valley with the Masai Mara in the background. The tents are luxurious and spacious and offer breathtaking views, delicious African cuisine. Keekorok is a large comfortable motel-style safari lodge. 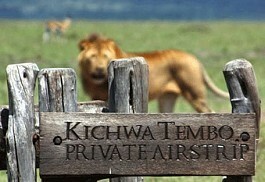 It has good facilities to suite families or groups, but is not suitable for a small private safari. 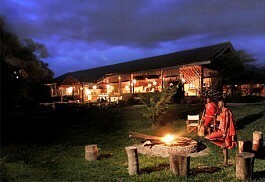 The lodge is situated in the very heart of Kenya's Masai Mara Game Reserve. Naibor Camp is a luxury tented camp and offers a secluded spot in a prime position overlooking the Talek River in the heart of the Masai Mara. It is ideally located for the migration between July and October. Saruni Camp is situated in a private conservation area outside the Masai Mara National Reserve in Kenya, one of the most incredible wildlife parks in Africa. 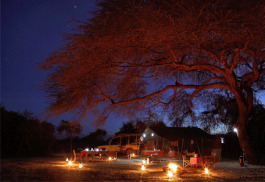 Saruni is small and offers a personal safari experience catering for only 12 guests at a time. 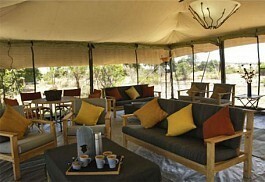 Mara Explorer is an exclusive safari camp and offers 10 luxurious tents with uninterrupted views of the Talek riverbank. Mara Explorer lies at the confluence of the Reserve's four main game viewing areas, offering prime views of the spectacular wildebeest migration. 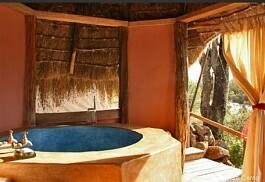 Naboisho is a tented camp in the heart of the Masai Mara. 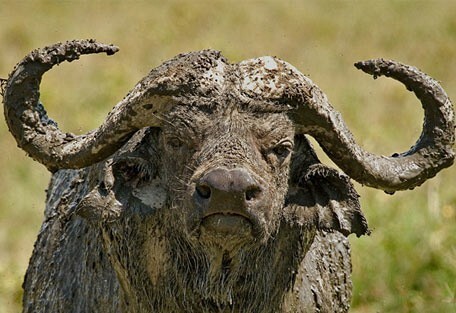 It is ideally situated to see the annual wildebeest migration between July and October. 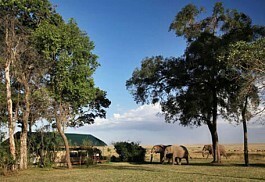 Encounter Mara Camp is a small classic camp located in a private concession. It shares an unfenced border with the Masai Mara giving guests unrestricted access to the reserve and the exclusive concession area. 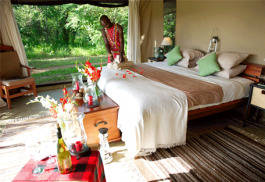 With an attractive setting on the banks of the Maasai Mara’s River Talek, Tipilikwani Mara Safari Camp offers a high standard of accommodation for a Kenya safari. The camp overlooks the plains of the Mara region and has an exclusive feel with just 20 luxurious riverfront safari tents. Kichwa Tembo Bateleur Camp is located in the Masai Mara National Reserve, which lies directly in the path of the annual wildebeest migration. 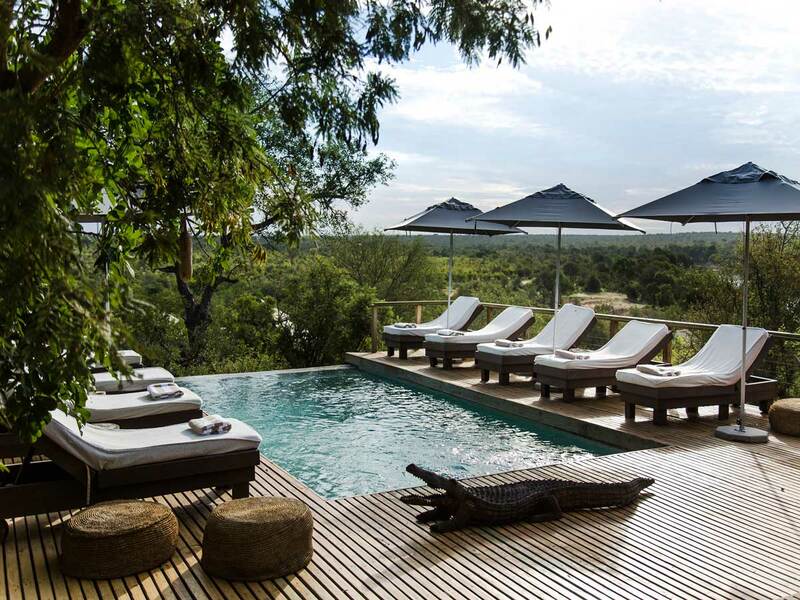 A premier lodge commanding sweeping views over the spectacular Mara plains. 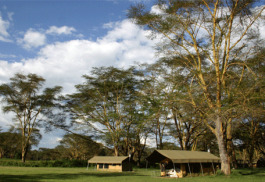 Ol Kinyei Adventure Camp is situated in a grove of Acacia trees within Ol Kinyei Conservancy, Masai Mara. The Masai Mara is known as a wildlife sanctuary with a wide variety of species including the big cats. 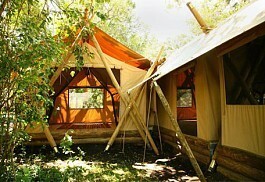 Selenkay Adventure Camp is situated within Selenkay Conservancy, Masai Mara. The Masai Mara is known as a wildlife sanctuary with a wide variety of species including the big cats. Leleshwa Camp is an intimate camp situated in the Siana Conservancy, just opposite the world famous Masai Mara which is regarded as a wildlife jewel of Kenya. The camp leaves guests breathless as the camp sits along a stream valley which overlooks the beautiful hills and plains of the conservancy. Kichwa Tembo Camp offers views of the endless grasslands and the Masai River in Kenya. 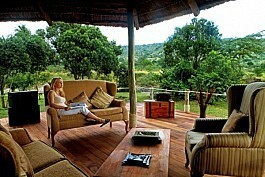 The rooms at the camp are furnished with en-suite bathrooms and includes private verandas for views of the area. Enaidura is a luxury mobile camp in Kenya’s Masai Mara, catering to some of Africa’s most esteemed freelance safari guides, ensuring an expertly guided safari experience in classic canvas tents, moving to the best wildlife spots throughout the year. Mara Porini Camp has 6 guest tents pitched in the shade of the yellow barked acacia trees along the banks of the Laetoli, a permanent spring within a private conservancy. 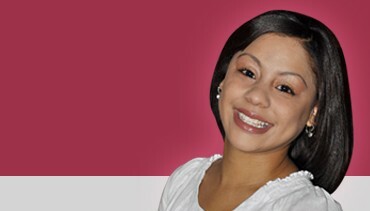 involved in running the conservancy through a partnership with the local community. Il Moran Camp is situated along the banks of the Mara River in the heart of the Masai Mara, perfectly positioned for the migration. 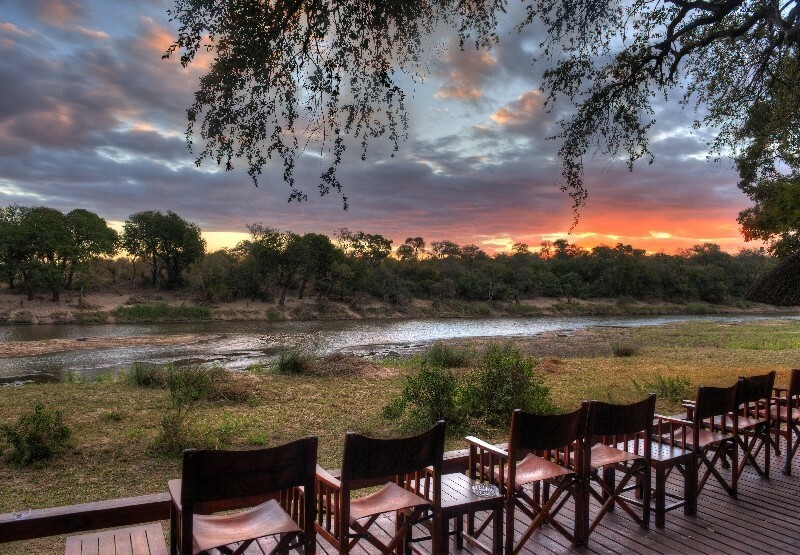 The camps' tents line the winding banks of the river, with the best game viewing right on your doorstep. 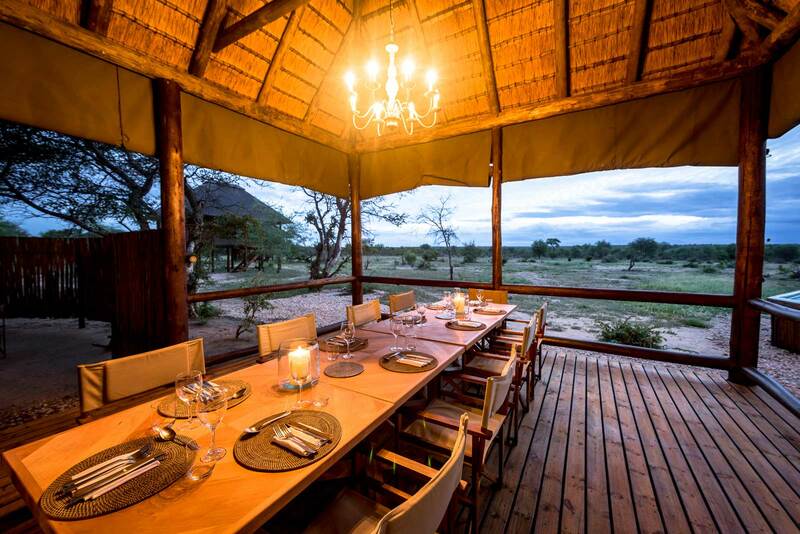 Campi Ya Tembo is a small luxury camp situated in a private conservancy. 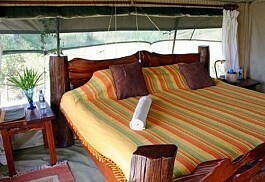 Exclusive use of the area, great scenery and a superb camp make Campi Ya Tembo one of the best camps in the Mara. 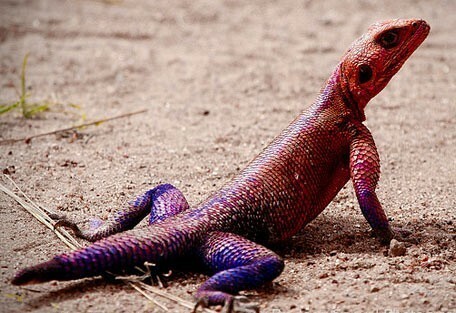 Located 10km from the main Saruni Lodge and offers fantastic wildlife viewing. 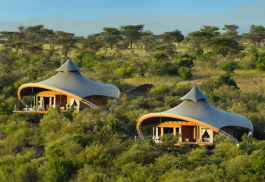 Mahali Mzuri is situated in the Motorogi Conservancy of Kenya. 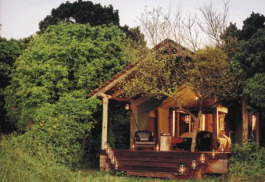 The property consists of 12 luxury tented suites all appointed on stilts. 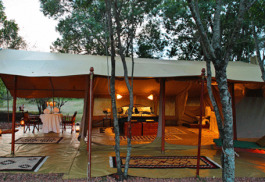 Each tent is built with a large deck offering the perfect location to spot game. Situated on the banks of a river from which it has taken its name, Sand River Masai Mara is located within the Masai Mara National Reserve, closely bordering the Serengeti. 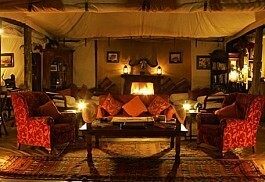 Replicating the elegant safari camping of the 1920s,it has beautiful interior designs and exceptional service. 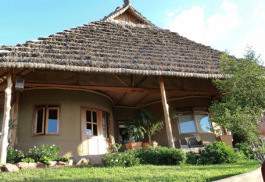 Mara Bush Houses is a group of three luxurious, safari houses situated in the Masai Mara of Kenya. 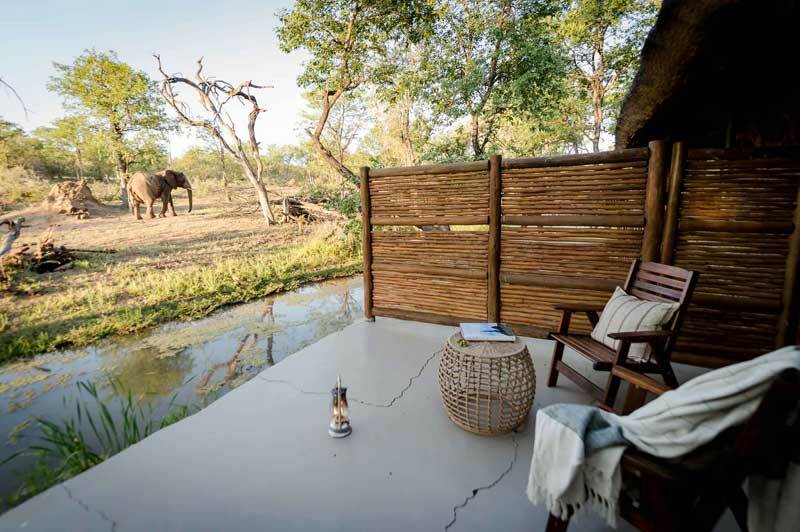 The houses offer beautiful views over a waterhole and one of the houses are located close to the migration route. 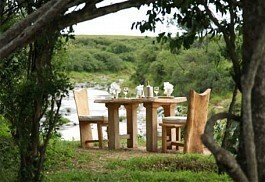 Karen Blixen Camp is set on the bank of the Mara River in a private concession adjoining the reserve. It enjoys open access, but also privacy within the concession. 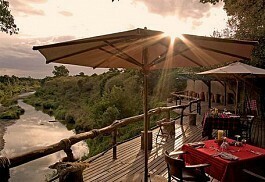 Zebras, elephants and hippos drink from the river throughout the day offering superb game viewing. 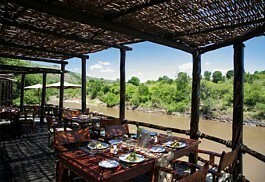 Basecamp Masai Mara is situated on the banks of the Talek River in a private safari concession. 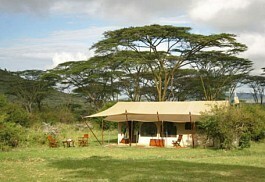 he camp is situated in a private concession which is just a few minutes away from the Masai Mara's gate in Kenya. The tents offer private verandas overlooking the river. 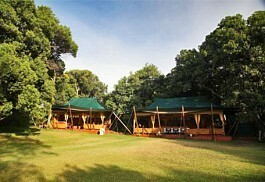 Little Naibor Camp is located within the immediate vicinity of Naibor Camp, and is made up of two spacious suites which are uniquely designed. 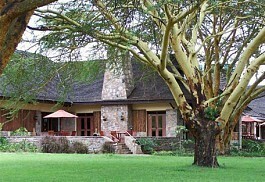 Ngerende Island Lodge offers luxury accommodation within the popular Masai Mara. 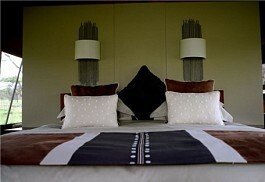 The lodge can sleep up to 14 guests, providing contemporary designed suites. 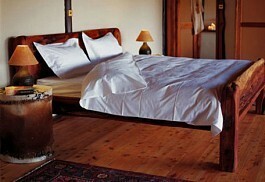 The lodge is the perfect location for weddings and honeymoons. Naibor Wilderness Camp is situated in the Masai Mara Reserve and is the sister camp to Main Naibor Camp and Little Naibor Camp. 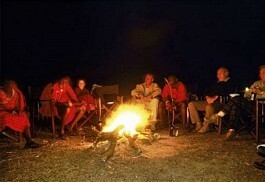 The camp is situated in an area renowned for the annual Great Migration. Porini Bush Camp is a small, eco-friendly yet intimate camp which is mobile and is located in the award winning Ol Kinyei Conservancy of Masai Mara, Kenya. An eco-friendly safari camp in a prime location for the famous river crossings of the Annual Wildebeest Migration with access to both Talek and Mara Rivers. 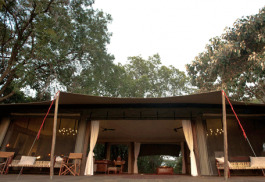 Ilkeliani Camp has spacious tents positioned on the Talek River overlooking the plains beyond. 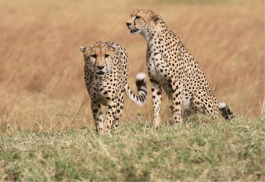 The plains between the Mara River and the Esoit Oloololo Escarpment are probably the best areas for game viewing, particularly for lion and cheetah. 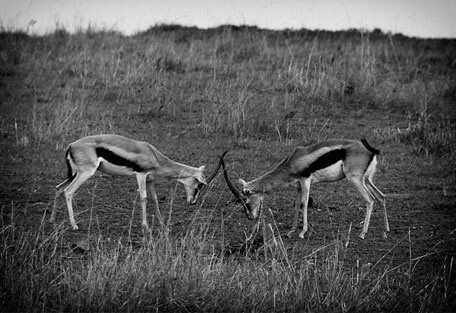 Thomson's and Grant's gazelle, impala, zebra, buffalo, hippo, crocodile, warthog and giraffe are easily spotted on game drives. The Masai Mara is said to have the largest population of lion in Kenya, while large herds of elephants are often found browsing among the rich tree-studded grasslands. 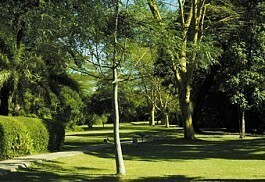 Over 450 species of birdlife have been identified in the park, including 53 species of birds of prey. The Masai Mara is a National Reserve, not a National Park, which means it is held in trust for the people and managed by the local councils as apposed to the Kenya Wildlife Service. 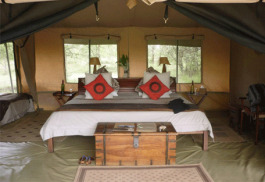 Kicheche Mara Camp is a traditional safari camp situated in a remote corner of the northern Mara plains. 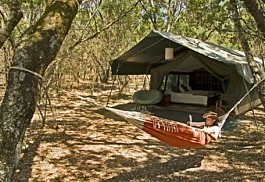 The camp accommodates up to 22 guests at a time, thereby ensuring a relaxed and intimate atmosphere. 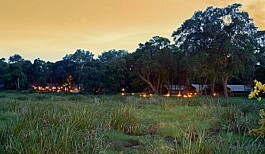 Within the reserve, most of the game viewing activities occur on the valley floor but some lodges conduct walking tours outside the park boundaries. We recommend the Mara Intrepids Camp or Naibor Camp, both in central locations within the reserve, close to the Talek River. For an exclusive and more private safari experience Kichwa Tembo Tented Camp is a luxury camp in the hills on the western border. Wildlife tends to be most concentrated here, as the swampy ground means that access to water is always good and tourist disruption is minimal. Guests travelling to Kenya will opt for either a ‘fly-in-fly’ or a ‘fly-in-drive’ safari, which will determine whether they make use of air or road transfers to get to their destination. 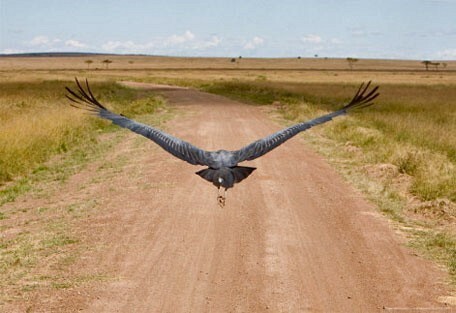 The Masai Mara is a 4-5 hour drive from Nairobi, or a short 45 minute flight via light air transfer. 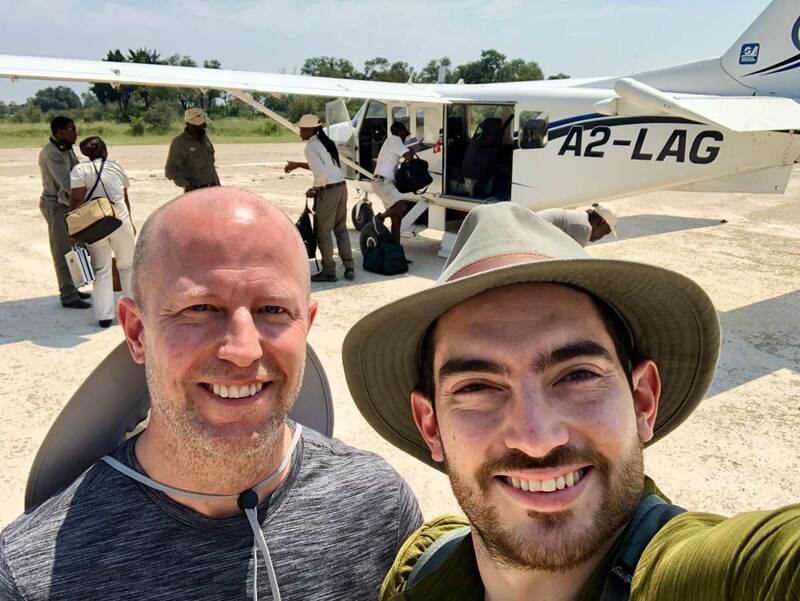 Guest flying to the Masai Mara will be collected by hosts and driven the last leg to their booked accommodation.